Colourpop releases so much makeup that it’s really difficult to keep up sometimes. But, I am always interested to get their collaborations with Kathleen Lights. Most of their collaborations with her have been amazing and I really like her as an YouTuber. The Zodiac theme was really popular last year and even this year it’s going strong. 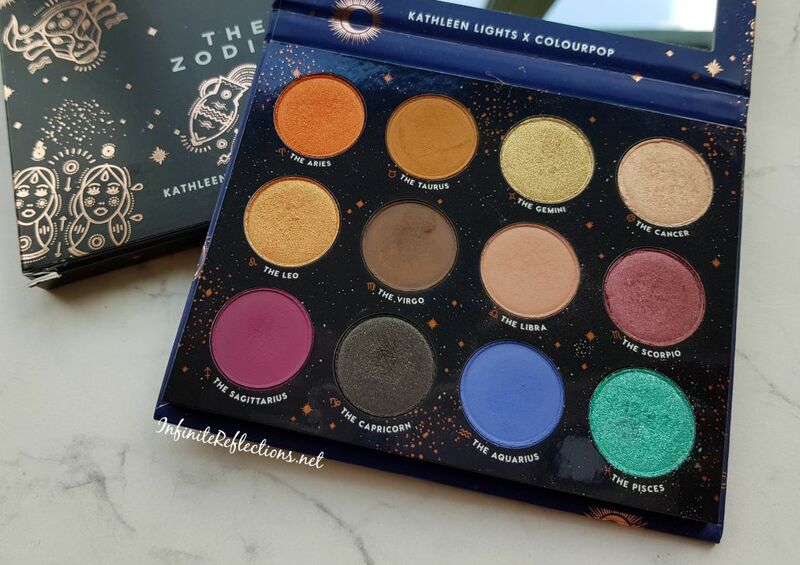 But, Kathleen Lights being someone who is deeply interested and learned in Zodiac signs, this collection seemed all the more interesting because its very personal to her and well thought out. 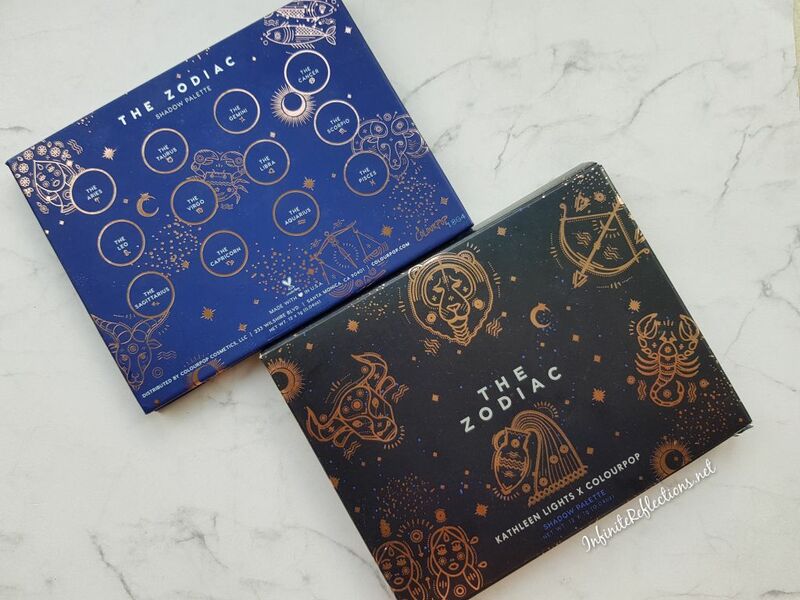 If memory serves me correctly, and trust me its really hard to remember, the Zodiac collection consisted of the eyeshadow palette, few lipsticks, couple of highlighters and liquid eyeshadows. But, don’t quote me on that. I was just interested in the eyeshadow palette so I just ignored the other products and picked up on the palette. 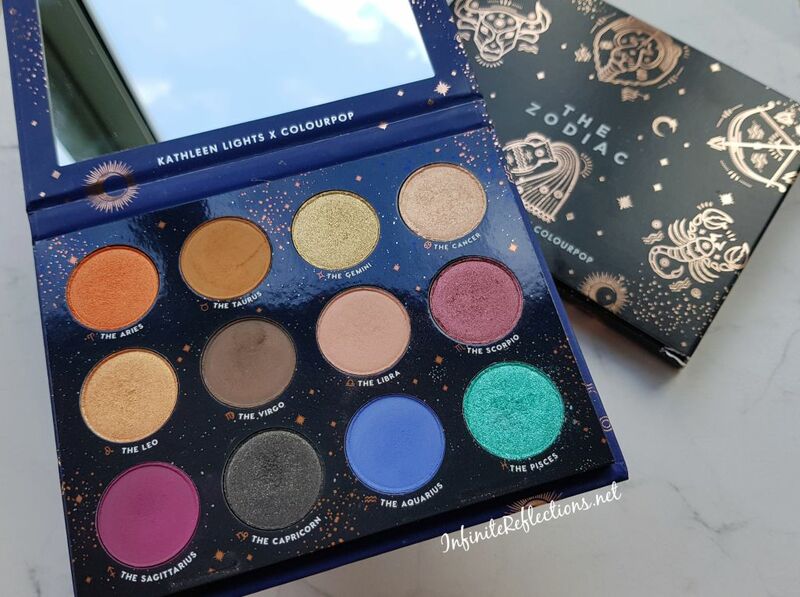 The Colourpop Zodiac palette is one of their standard 12 pan eyeshadow palettes and has a very interesting colour story. It retails for $18 on the Colourpop website and that’s where I purchased mine from. Each colour depicts a zodiac sign and a lot of thought has gone behind designing every colour. Kathleen did a very detailed video explaining here entire thought process which I found really interesting. 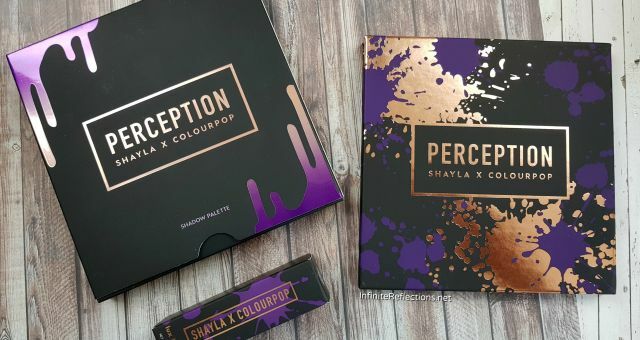 The packaging of the palette is really beautiful. I really like the blue and black contrast of the palette and the outer box. All the zodiac signs are imprinted on both the packages in gold which gives a really cool visual effect. The palette also comes with a mirror which comes in handy. 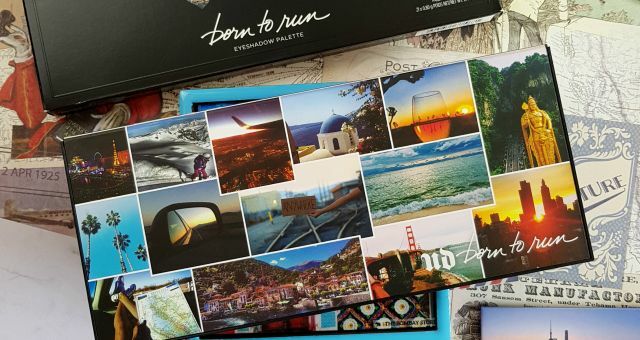 I always like the cardboard packaging of these 12 pan Colourpop palettes as they are sleek and sturdy, and also environmentally more friendly than plastic packaging. 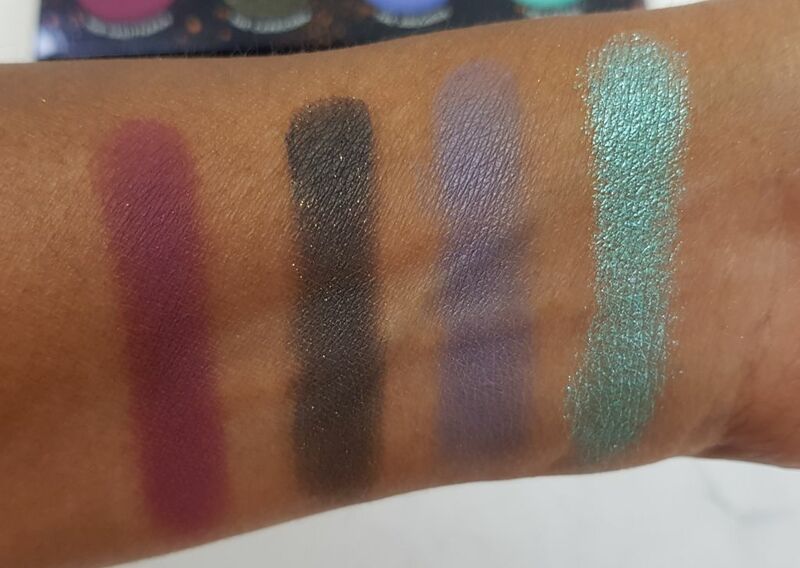 There are 6 mattes (1 glitter infused) and 6 metallic shades in the palette and each pan contains 1 g (0.04 oz.) of shadow. 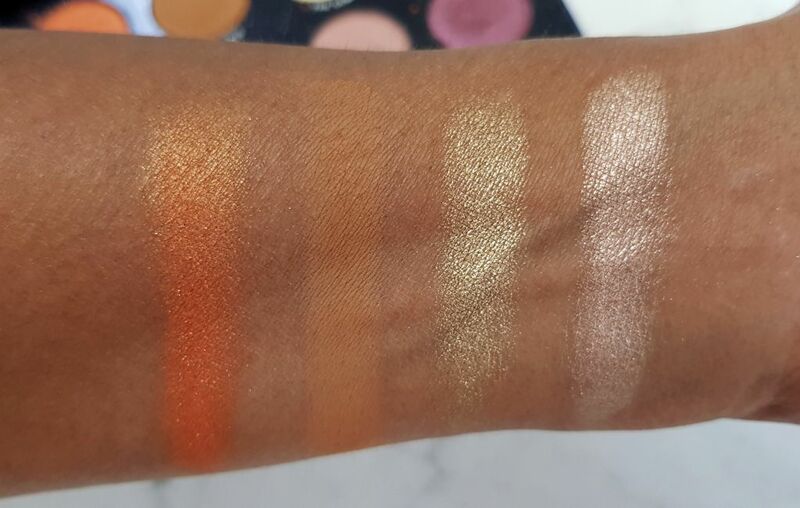 This is how the shades have been described on the Colourpop website. Let’s take a look at the swatches row by row. Love all the shades in this row. The metallic subtle orange is just so pretty and unique. 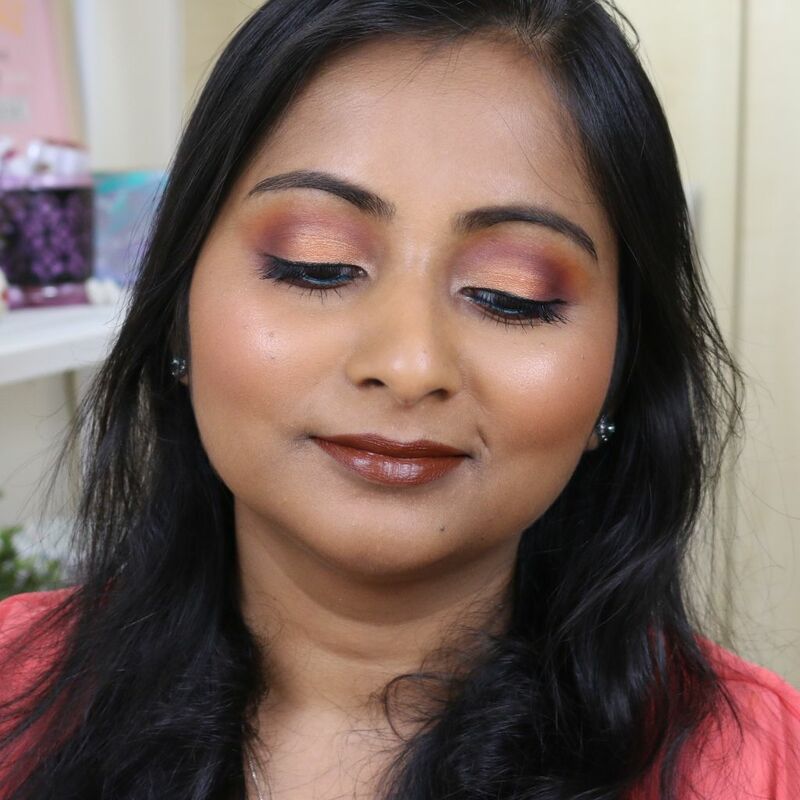 I love it for creating soft orange eye looks. “The Taurus” is a great matte shade for transition, very pigmented and blends nicely. The two metallic shades are also easy to work with and are very smooth. I just love the two metallic shades in this row. They are super intense and very smooth. Especially, the metallic plum is just amazing. 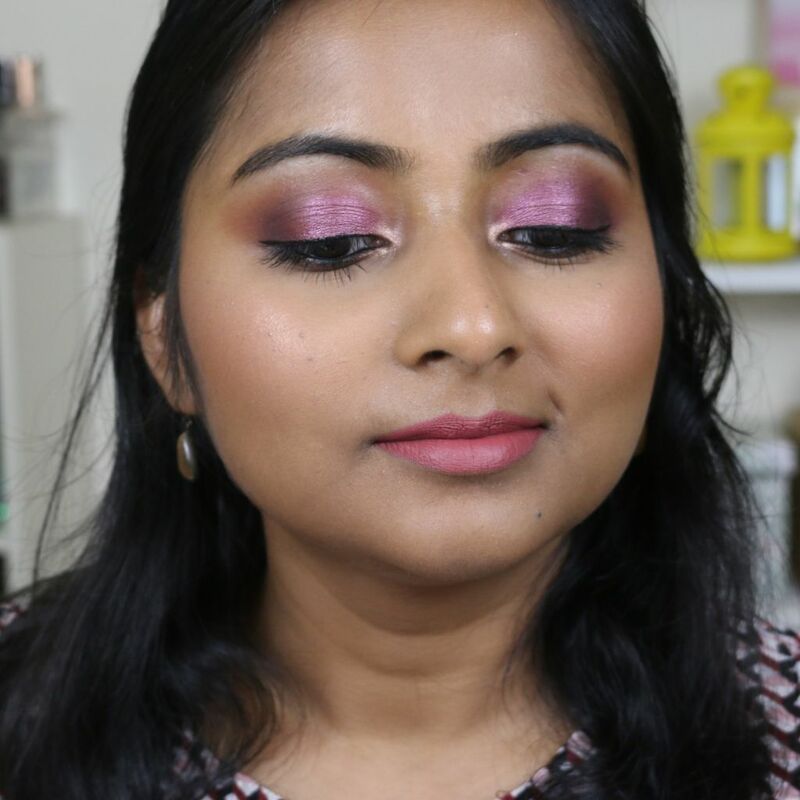 The soft pink is great blending shade and the brown comes in handy to create some depth in the looks. “The Sagittarius” is one of the best matte purples I have used. It is not so creamy in texture but has amazing pigmentation and blend-ability. The black and the matte blue are just okay shades for me. The black is infused with some gold glitter but it doesn’t translate that much on to the lid. So, for me it’s like a matte black shade. 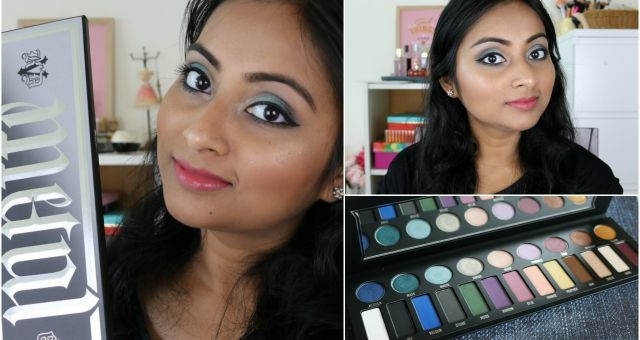 The matte blue is nicely pigmented and is a unique cool colour but on my skin tone does need some building up. I am a Piscean myself and unfortunately “The Piscean” is not one of the best shadows of the palette. Its quite chunky and difficult to work with. I have to use a fixing spray to make it work and it has quite a lot of fall out. So, it’s my least favourite in the palette. 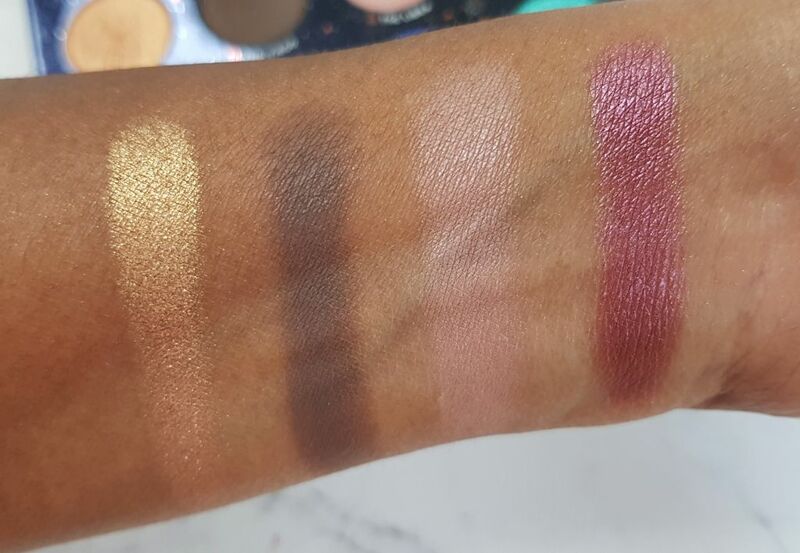 Overall, like most Colourpop palettes, this palette has also worked out really well for me. The quality is very good and the colour scheme is really unique. Although, one or two shades may be a little difficult to work with and need some effort. 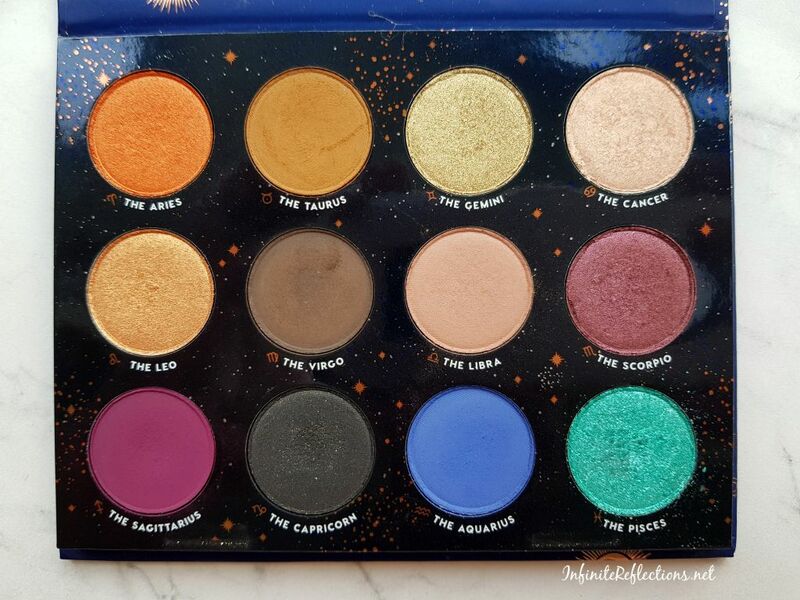 Honestly, when I got this palette I was a little overwhelmed with the colour story and could not figure out what kind of looks I wanted to do. But, now I am really comfortable with this palette and have done some really pretty looks. It’s possible to do a wide variety of looks with this palette alone. We can do more neutral everyday looks, simple party looks or go really bold. The shade range is really nice. The palette does have a little bit of fall out but not with all the shades. 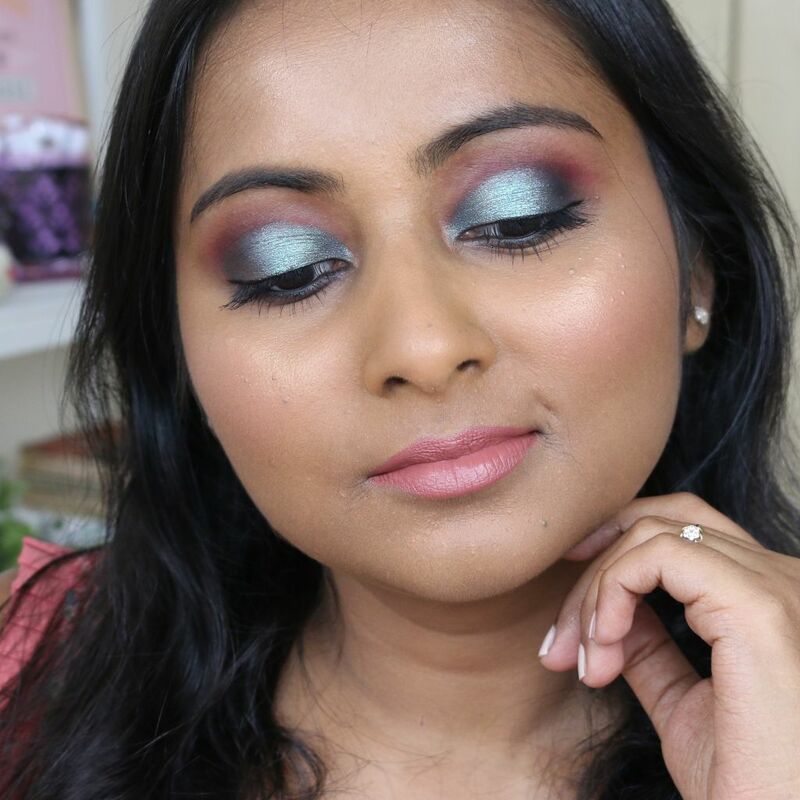 I think the fall out level is lesser than other Colourpop palettes I have tried. These are some of the looks of which I managed to take photos of. 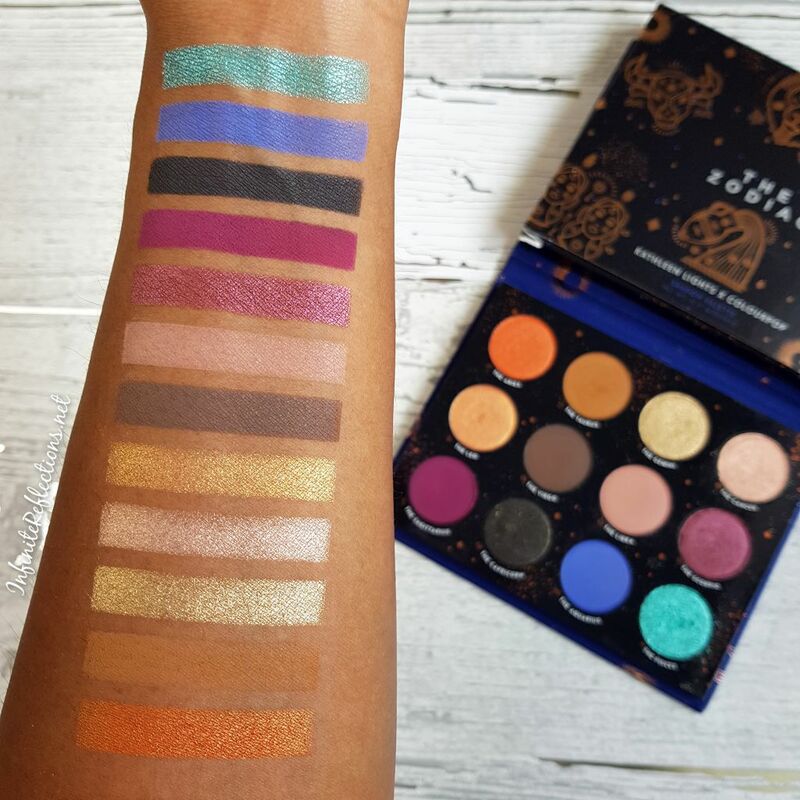 So, what do you think of this palette? Do let me know. It’s all about the colour story in this palette. 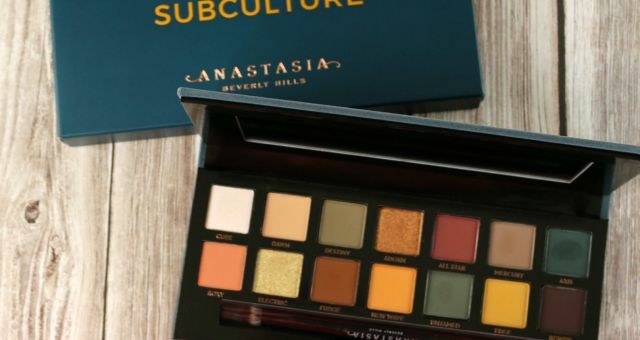 If that appeals to you, then I will definitely recommend this palette as the quality is great. That’s all for this post. Cheers!